The action is ambidextrous. The manufacturer can supply either a right-hand bolt or a left-hand bolt. That’s correct — you can switch from righty to lefty simply by swapping the bolt. Very clever. 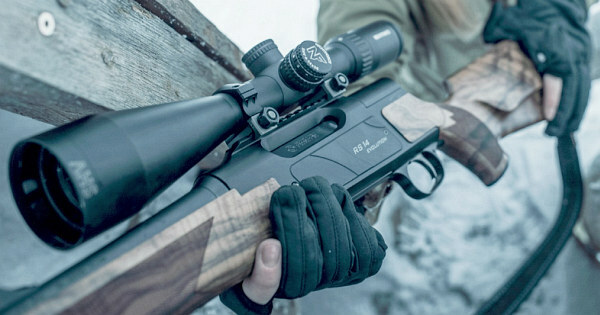 The latest RS14 Evolution features a Picatinny rail on the receiver. 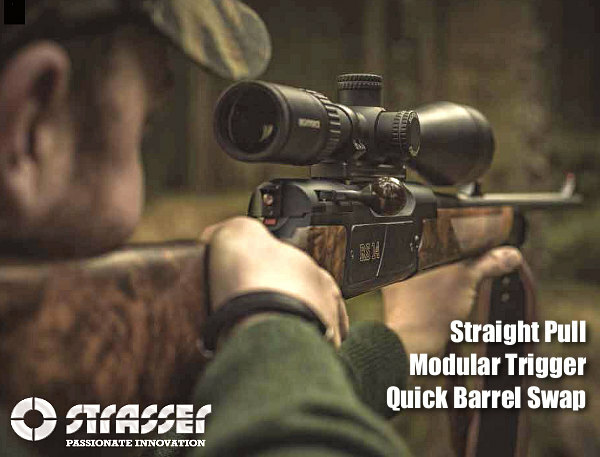 USA buyers can choose between an RS14 with high-grade Walnut stock or the Tahr model with a grey, laminate stock. Both types have a detachable trigger module, that allows easy adjustment of pull weight. 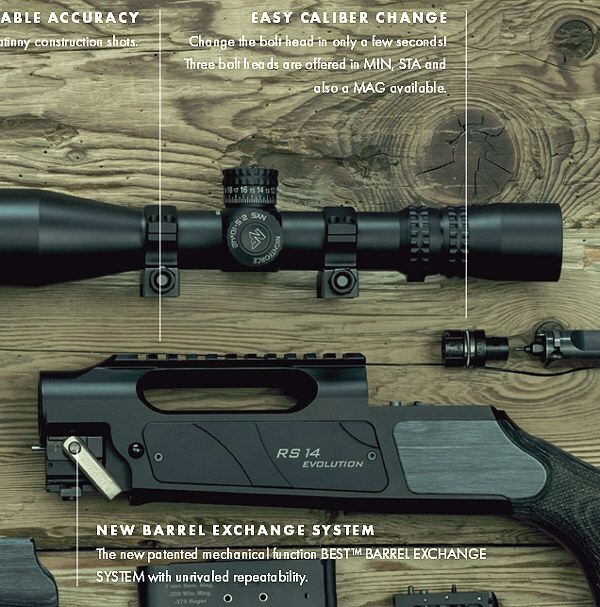 This rifle is a premium product, priced accordingly. For orders and inquiries, contact the U.S. importer, International Firearm Corporation. You can also email info@internationalfirearmcorporation.com , or call 1 (844) IFC-GUNS (432-4867). 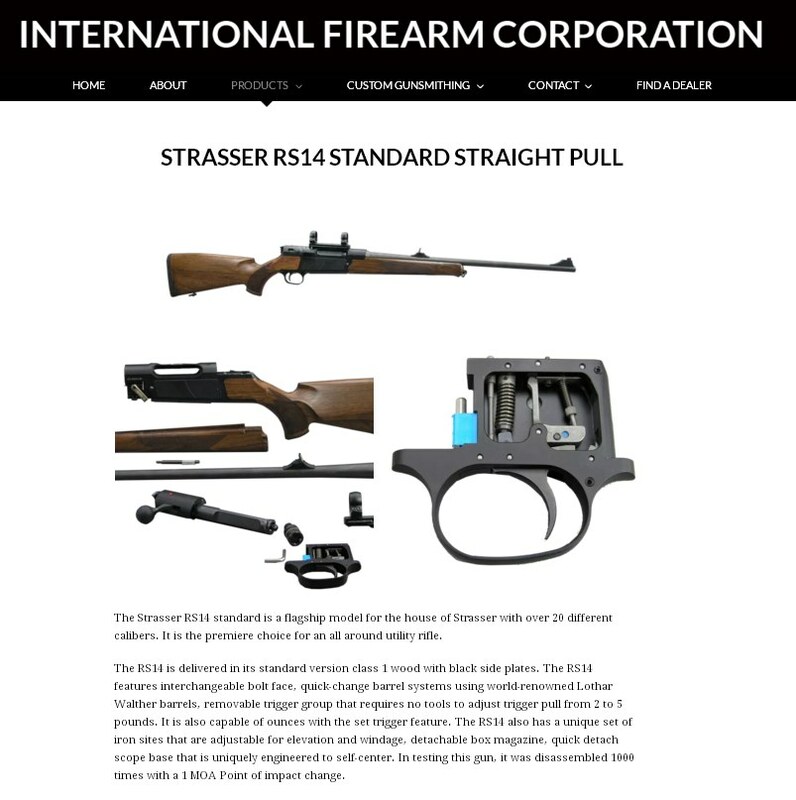 Share the post "Straight-Pull Strasser RS14 Hunting Rifles — Austrian Excellence"
EDITOR: Strasser links on USA IFC Site work 100% fine for us. HERE is the RS14 page. Blaser straight-pulls are pretty common in the UK amongst our deerstalkers (deerhunters), not this model with its being new of course. They’re likely not as popular as they were some years back though. If you want to get a good lively argument going on The Stalking Directory, the UK’s largest deerhunting forum just raise something, anything, about Blasers. They’re what we call a ‘Marmite’ product in Britain, Marmite being a concentrated and salty yeast extract food paste that people either love or hate and whose name has passed into common useage for things that people can’t agree about. (Just like Savage on Accurate Shooter!) It may be a premium rifle, but it isn’t universally admired or loved here even if it does have its fans too. Looks substantialy longer than the Blaser or Merkel rifles. This rifle looks like designer brilliance. It’s the kind you want to have just feel it in your hands. Changing the barrel, the action, would be a pleasure as it looks so simple to do. Sheer quality and innovation through and through. 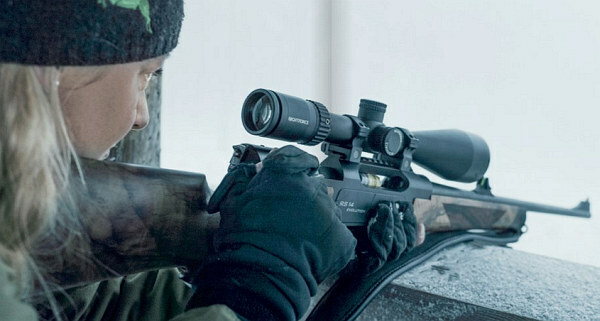 how in those straight pull rifles, the bolt head is locked into the quick changing barrels? Excellence is the right word for these. They are beautifully smooth to operate.